Seven amazing women who impact Iowa agriculture were recognized at the inaugural Iowa State University Extension and Outreach Women in Ag Leadership Conference on November 28, 2017. All of these women were nominated for this award by an Iowa State University Extension and Outreach professional who has recognized the positive impact these women have in their community. 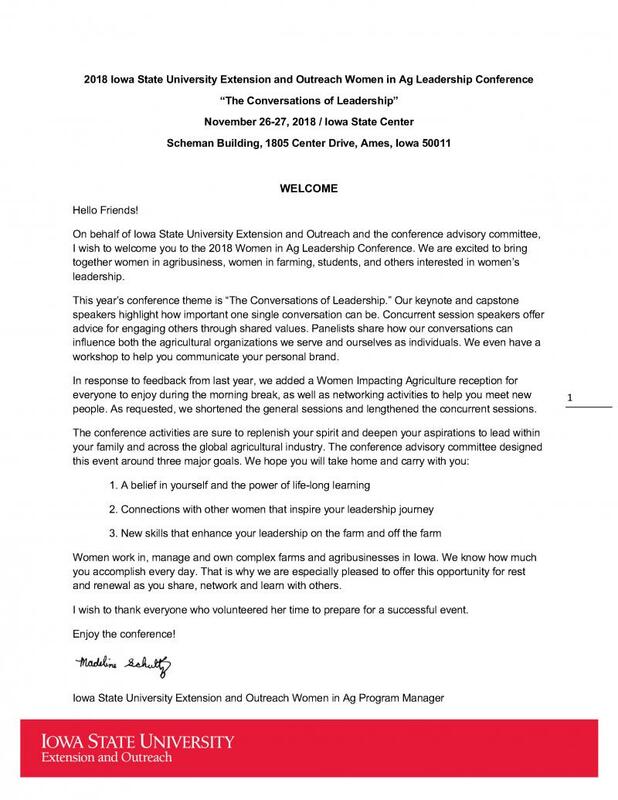 On Tuesday Nov. 28, Iowa State University Extension and Outreach’s Women in Ag Program will be holding its inaugural Leadership Conference. The primary session will be preceded by a series of intensive workshops that will be conducted on Monday Nov. 27. 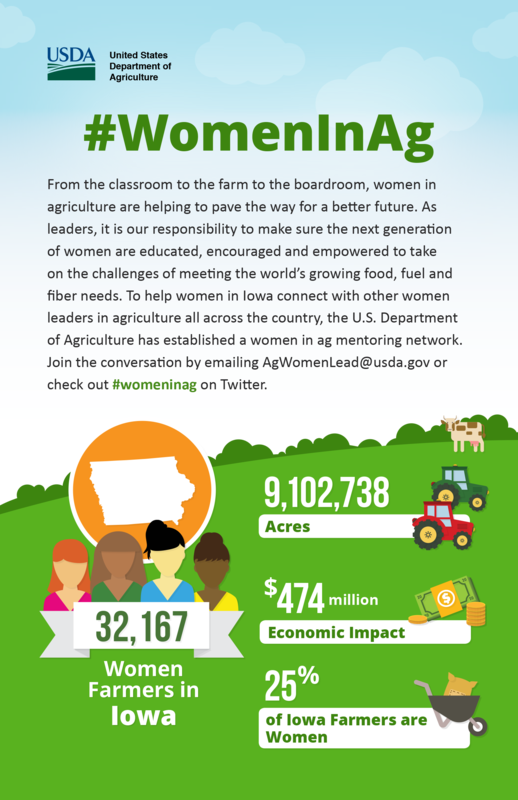 Save the date for the inaugural Iowa State University Extension and Outreach Women in Ag Leadership Conference!